Do you enjoy working with children? Are you up for any challenge? Do you want to work to solve real problems and watch those solutions work? AKABA is hiring for various positions that may be a fit for you. All qualified applicants will receive consideration for employment without regard to race, color, religion, gender, national origin, age, disability or veteran status. (Compliant with the new VEVRAA and Section 503 rules). ​Our team of Board Certified Behavior Analysts and LABAs have strong leadership skills, take initiative, and value working collaboratively with families and providers. We work on enhancing communication skills and teaching strategies for self-regulation and behavior management. AKABA believes in developing talent and offers extensive opportunities for promotion for highly qualified employees. AKABA’s Board Certified Assistant Behavior Analysts work directly under our BCBAs to provide home based ABA Therapy to clients. 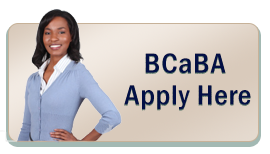 ​ABA Therapists positions are entry-level positions. Therapists provide individualized services in the home setting to clients between the ages of 3-22 years diagnosed with Autism Spectrum Disorders. Therapists implement behavior support plans and work with families to reach individualized goals. We offer on-going training and certifications to help further your career with shadowing opportunities and professional supervision.